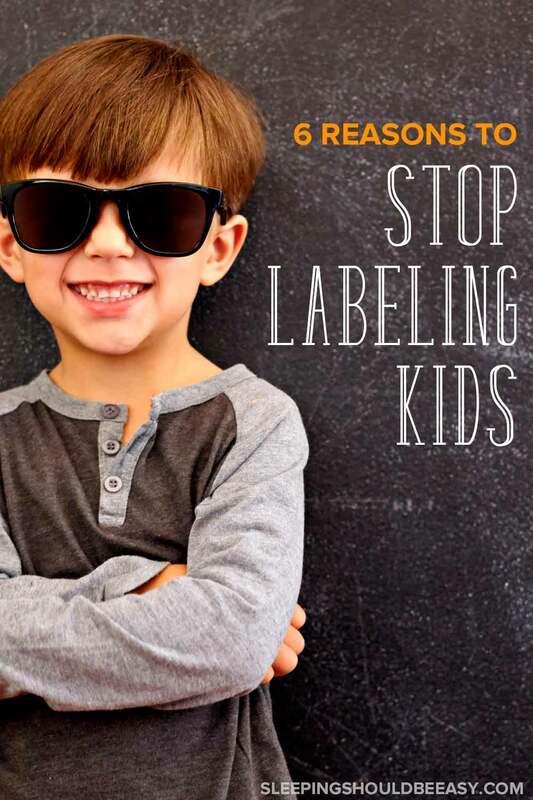 From shy to outgoing, difficult to easygoing, learn the negative effects of labeling kids and why you should not label children (plus what to do instead). Why bother? I thought to myself each time I took an algebra or calculus exam. As I grew up, I never even considered I could do well in my math classes, even throughout college. Labeling kids usually starts out with the best of intentions. We may believe we’re encouraging positive behavior (“Good boy!”), fostering passion and skills (“You’re so athletic!”) and motivating with praise (“I know you can do this—you’re so smart!”). But, just like the labels I grew up with made me believe I was bad at math, labels often do more damage than good. They put us in boxes and instantly lead us to conclude what we can and can’t do. What initially begins as praise and positive encouragement quickly snowballs into permanent labels that are difficult to shake off. As parents, we’ve all fallen into the habit of labeling kids now and then, whether for good or bad. We might label one child as athletic, the other as musical. Whether aloud or in our heads, we might label one child as difficult or challenging and another easy-going. 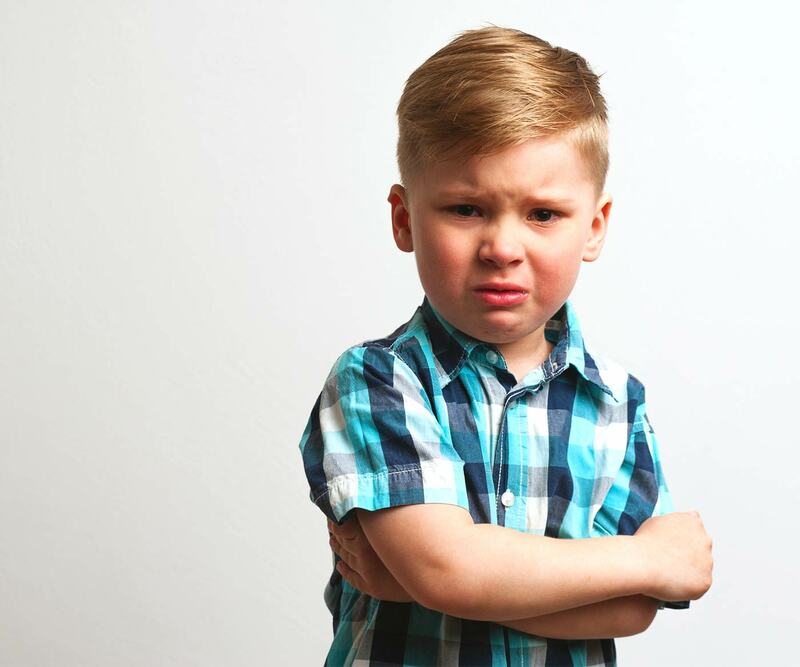 When faced with a challenging, strong-willed child, labeling him as a “troublemaker” automatically makes it difficult for you to show empathy and resolve the issue. Labeling creates distance between you and your child’s emotions. You’re assigning him a personality trait instead of trying to relate to his struggle. Instead of engaging with empathy, placing that label causes you to move away from connecting with a child who’s feeling frustrated. You’re more likely to view him as being a difficult child or a troublemaker. It becomes harder to realize your child is much more than simply his behavior, actions or temper tantrum. When your child is labeled with a trait, you’re more likely to struggle to see valid reasons why he’s behaving this way. You might find it more challenging to connect and communicate. After all, feelings are temporary and can be worked out and resolved, but a personality trait, well… that designation can seem more permanent. Your kids hear what you say about them in conversations with other adults. Never mind that being reserved or having plenty of energy aren’t bad qualities. It’s totally normal to feel quiet or hold back around strangers or new situations. Kids are also expected to expend energy and run around. She starts accepting that limiting belief about herself as true and she’ll continue to believe in that label as she grows up. We’ve all heard, “Oh, he’s going to be an engineer!” the minute our kids show a remote interest in how cars or machines work. Or, “Wow! She’s going to be a talkative one!” when they hear your baby happily babbling along. Although friends and family mean well by their comments, these labels (even positive ones) assign kids a future at a very young age. Who knows what our kids will go on to do? As a baby, toddler or even a preschooler, they’ll show interest in all sorts of areas! Let’s allow our kids to decide what interests them. They may explore all sorts of careers and activities over the course of their lives. Labeling them as an “athlete” or a “girly-girl” early on boxes them in. Give them discover their natural aptitudes and grow into new interests as they grow. Kids might act serious one day and hilarious the next. One day your baby might smile and wave at every stranger and the next cling to your leg or hide in your shoulder. A toddler might deliberately disobey and then minutes later follow instructions to the letter. Humans are capable of many complex emotions, reactions and personality facets—kids included. It’s impossible to label someone and predict each action they will take. Every day, our kids surprise us with their ability to zig when we expect a zag—it’s just one of the beautiful things about watching them grow! As kids are developing and discovering their abilities and talents, they start to believe their talents are innate and unchangeable. Rather than understanding the value of practice and hard work, they can be easily discouraged and believe, I can’t do it, even if I try. It’s not in me. When a child is labeled as athletic, artistic or bookish, he starts to believe that label is his identity. He might believe that sports are the only thing he does well or that science is the only class he shines in. A “jock” might feel he can’t explore design or he’ll never be good at reading. Similarly, a “nerd” might hold back from playing games in gym. Kids are more likely to do well in school and take on new endeavors when they don’t see these doors as out of reach. When they learn that with practice they can become better at almost any task, the world opens up to them and they’re more willing to take risks and explore new horizons. Whether explicit or implied, labels are hard to shake off. So much so that, when disciplined, kids believe your negative feelings and words are directed at them as a person, rather than at their behavior. If your child knows hitting is “wrong,” then it’s easier to correct, especially if you reassure him that you love him no matter what—even if he misbehaves. But if he’s labeled as a “hitter” or “aggressive,” then the hitting behavior becomes much harder to change. How can you change who you are? Your child may think, Why even bother? Is it really worth the effort to curb your behavior if a trait is inherent? Again, it’s just so much easier to correct an action or work through a feeling than to change your personality. From behavior to social interactions to how they learn, labeling kids does more harm than good (even when well-intentioned). Labels can make it more difficult for us to show empathy when our kids are struggling to behave: whether consciously or not, we start to believe in the labels too. Kids end up feeling terrible about themselves at an age when we’re trying to build their confidence. Childhood is a time for discovery, but labels can assign interests and traits before kids even know what they enjoy. 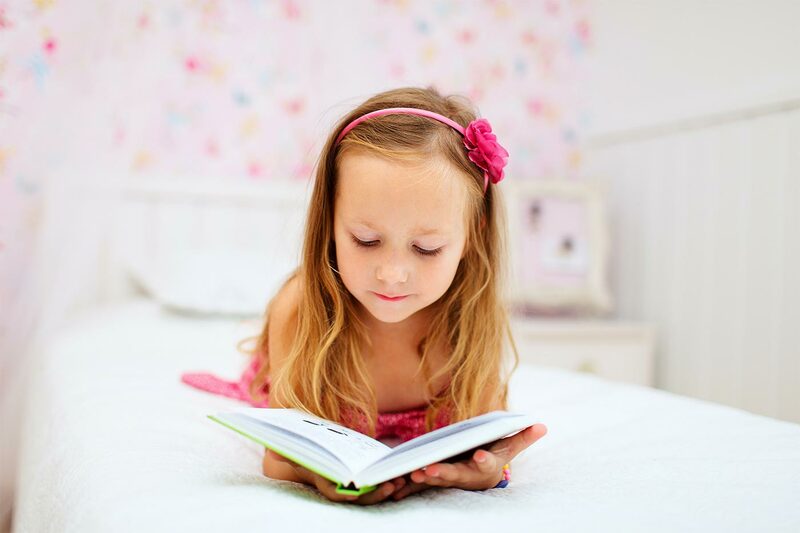 We’re all multifaceted with many different areas of interest, and kids have a natural propensity toward all kinds of subjects. Labeling also stifles kids’ growth and limits their potential. After all, labels incorrectly convince them that their talents and abilities are innate rather than something that can change with effort. This applies to behavior as well. 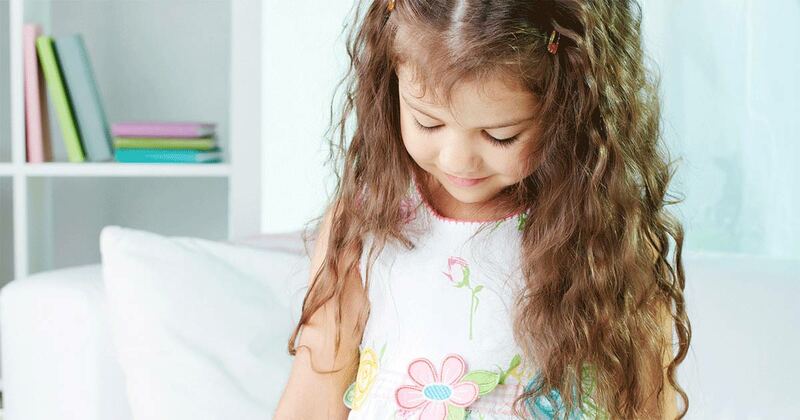 Labeling might make kids believe that behavior and personality traits define who they are when in reality, they can be corrected, changed or adapted. Kids (and adults) are complex and diverse—and isn’t it great that we can’t all fit into one box or another? None of us possess just one or two traits, talents or areas of expertise. We’re not bound to labels—so let’s do our best to stop labeling kids. As it turns out, I learned I actually like numbers, personal finance, and even—gasp!—spreadsheets. And yes, even while I still enjoy art and writing. Previous PostFamily Holiday - Time to have Fun & Learn. Next PostHOW CAN PARENTS NURTURE THE HAPPINESS OF THEIR CHILDREN ?